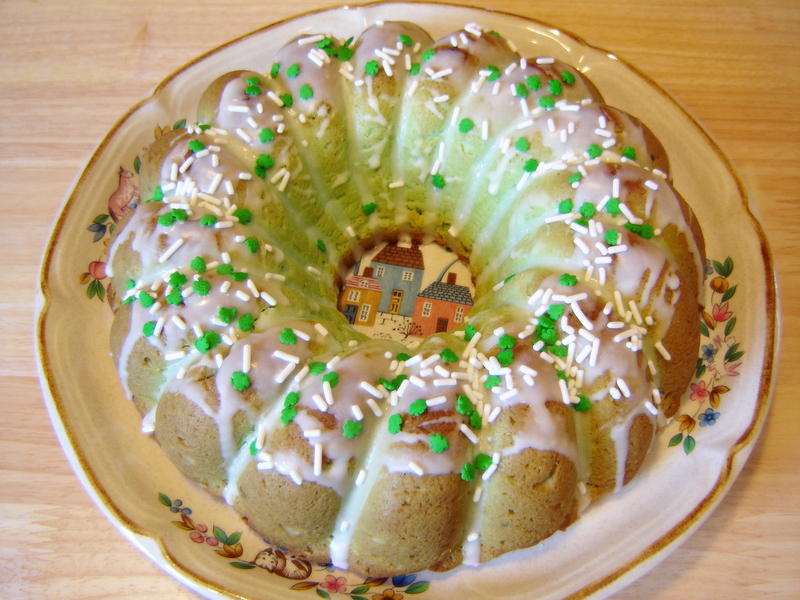 Since St. Patrick’s Day is right around the corner, I thought it would be the perfect time to share with you some of my very favorite St. Patrick’s Day treats that I’ve made throughout the years. Have a wonderful weekend and a happy St. Patrick’s Day everyone!! Preheat oven to 350 degrees. Grease and flour cupcake tins or line with paper liners. In a medium bowl, combine flour, baking powder and salt; set aside. In another medium bowl or measuring cup, combine Irish Cream, water and milk; mix well. In large bowl, cream butter and sugar together until light and fluffy. Add eggs and vanilla extract; beat well. Alternately add the flour mixture and Irish Cream mixture to the butter mixture. Beat for approximately 2 minutes. 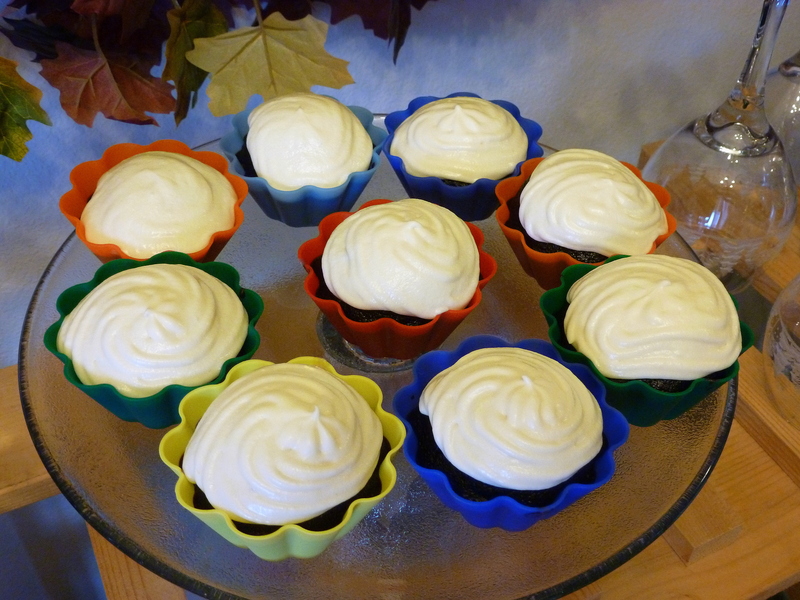 Spoon batter into cupcake tins, filling cups about 2/3 full. Bake for 15-20 minutes, or until tops spring back when lightly touched. Remove from oven and place on wire rack to cool. Cream butter with an electric mixer until light and fluffy. Gradually add powdered sugar; mix until completely combined. 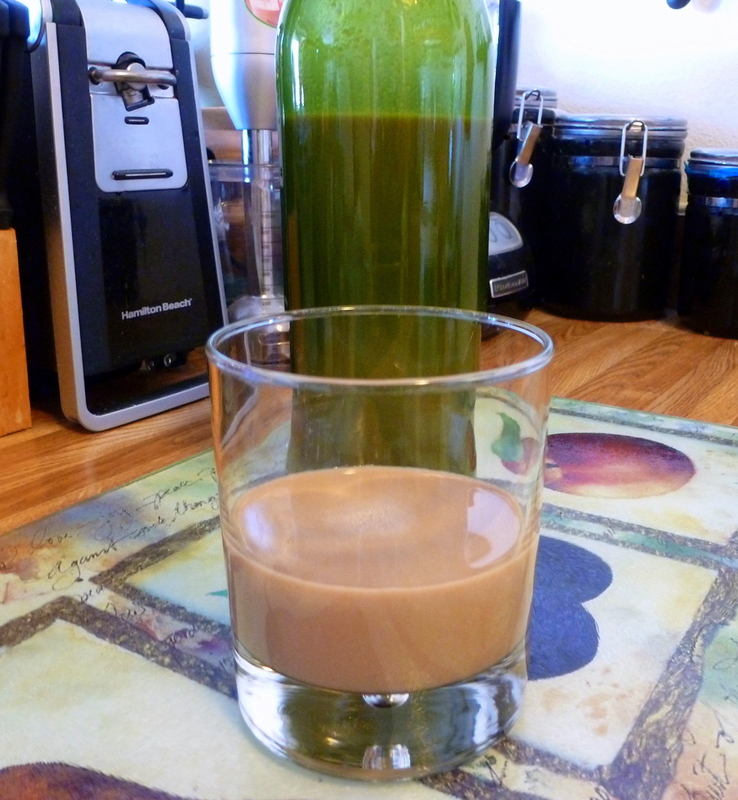 Add Irish Cream and food coloring; beat until well combined. 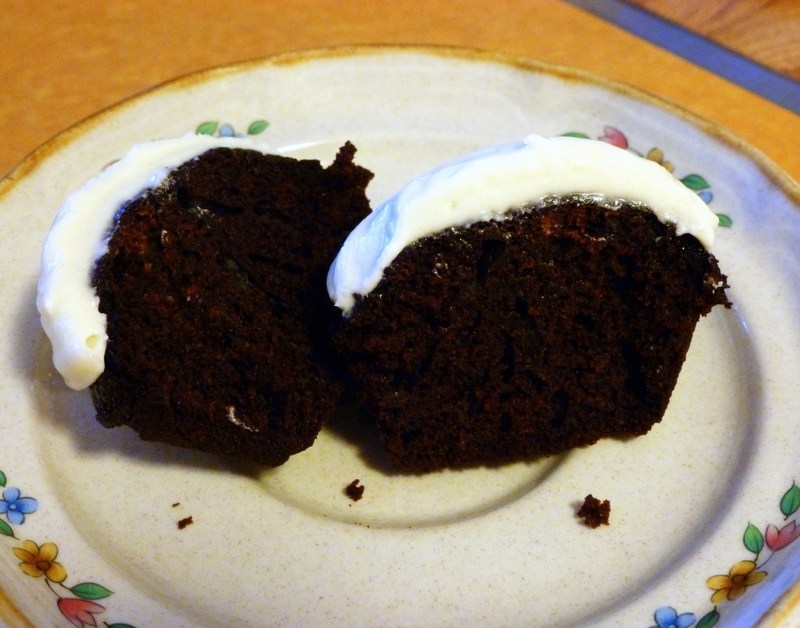 If necessary, add more Irish Cream to thin or more powdered sugar to thicken frosting to desired texture. Frost cooled cupcakes and sprinkle with decorative sprinkles. Preheat oven to 350 degrees. Grease and flour a 10-inch fluted tube pan. Combine Ener-G Egg Replacer and the 8 tablespoons of water in a small glass or bowl. Mix well. In a large bowl, combine the cake mix, pudding mixes, water, oil, and the egg mixture. Beat with an electric mixer on low speed for 30 seconds. Beat on medium speed for 2 minutes. Pour batter into prepared tube pan. Bake for 60-70 minutes, or until a toothpick inserted near the center comes out clean. Cool in pan for 10 minutes. Remove to a wire rack to cool completely. In a small bowl, combine the glaze ingredients. Drizzle over cooled cake. Combine all ingredients in a blender. Blend on high power for about 20-30 seconds. Store tightly sealed in the refrigerator. Shake well before using. Makes approximately 25.4 fluid ounces. In a medium bowl, stir milk into cold water. Microwave on high for 1 minute. Stir in sugar & vanilla extract. Refrigerate and cool before using. Yields approximately 1 and 1/3 cups. Preheat oven to 400 degrees. Line baking sheets with parchment paper. In a medium bowl, sift together the flour, cocoa powder, baking soda and salt; set aside. In a large mixing bowl, cream the butter and sugar together until fluffy. Add the egg and beat until combined. Add dry ingredients, alternating with milk, and mix until just blended. Drop batter by tablespoonfuls, about 2 inches apart, onto prepared baking sheets. Bake for 6-7 minutes, until cakes spring back when touched. Remove from oven and let cool on pan for 2 minutes. Transfer cakes to wire racks to cool completely. Match cakes in pairs so tops and bottoms are similar in shape. 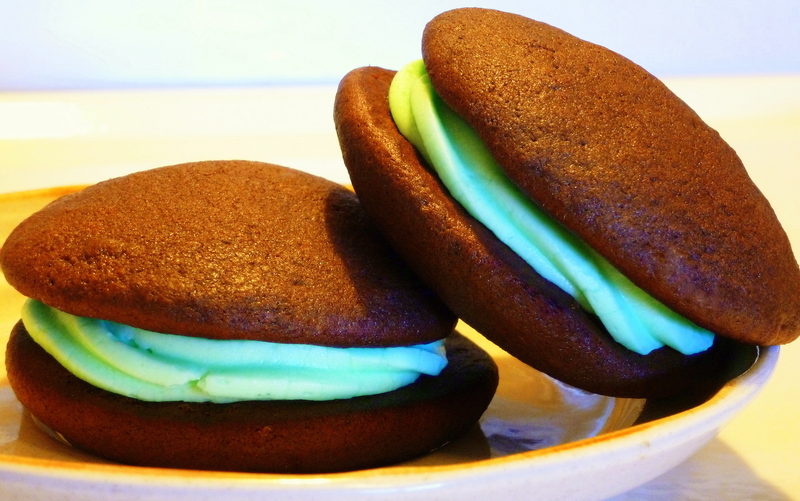 Spread bottoms with Mint Cream Filling, recipe below, and cover with top. In a medium bowl, combine butter, powdered sugar, mint extract, food coloring, and milk. Mix until smooth. 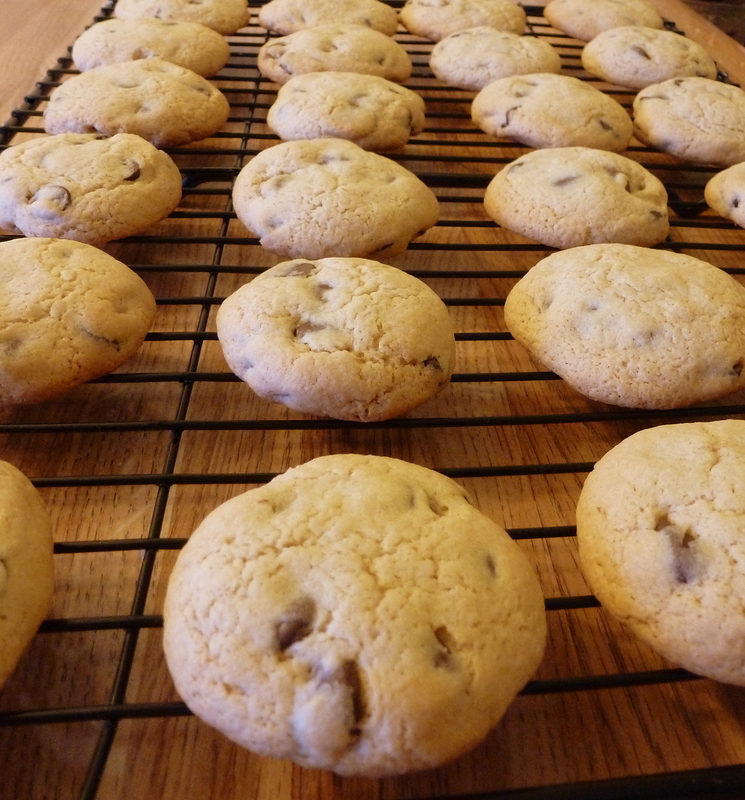 Spread on the bottoms of half of the cookies; top with remaining cookies. In a medium bowl, combine flour, baking powder, baking soda, and salt; set aside. In a large mixing bowl, cream butter, granulated sugar, brown sugar, and egg together until light and fluffy. Add vanilla extract and Irish Cream; mix until combined. Gradually add dry ingredients to butter mixture and blend well. Fold in chocolate chips. Shape dough into 1-inch balls. Place on ungreased cookie sheets 1 1/2 inches apart. Flatten with the bottom of a glass coated with non-stick cooking spray. Bake for 8-10 minutes, or until golden brown. Cool on cookie sheet for 1 minute. Remove to a wire rack to cool completely. Makes approximately 4 dozen cookies. As I suspected would happen, a change in the weather has occurred, bringing grey skies, cooler temperatures, and a little bit of rain. Although it’s not exactly ideal weather conditions for the upcoming long holiday weekend, it has given me the opportunity to spend a little more time indoors and catch up on some household chores – and do some baking. 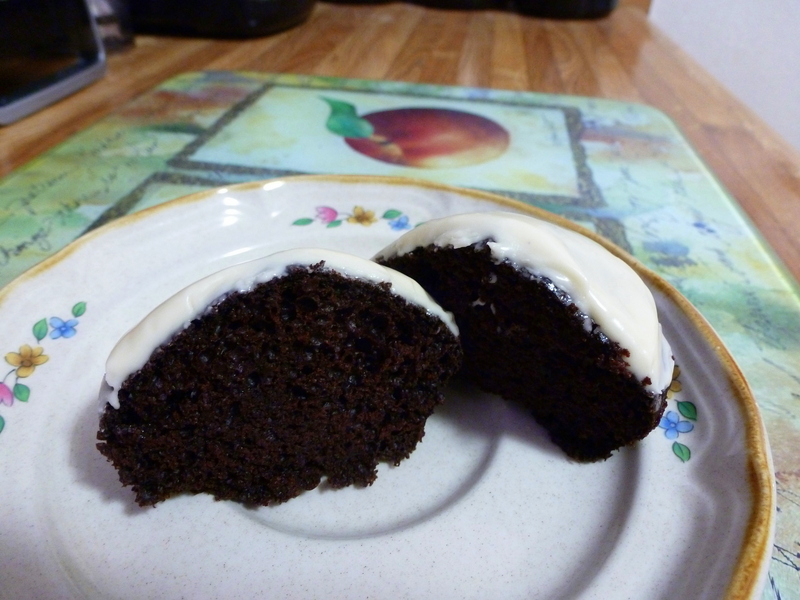 The float frosting is so sweet and creamy, and the cupcakes are incredibly moist. The root beer soda adds a subtle root beer flavor, but if you want a stronger flavor, you can add a teaspoon or more of root beer extract to the batter. As long as I have one of these tasty treats close at hand, I don’t think the gloomy weather that’s expected to hang around this holiday weekend will bother me too much. Have a safe and wonderful 4th of July everyone!! Preheat oven to 350 degrees. Grease and flour 12 cupcake tins or line with paper liners. In a large bowl, combine flour, baking soda, and salt; set aside. In a small saucepan, heat the root beer, cocoa powder and butter over medium heat until the butter is melted. Add both sugars and whisk until dissolved. Remove from heat and cool. Cream butter with an electric mixer until light and fluffy. Beat in the ice cream and vanilla extract. Gradually beat in the powdered sugar. If necessary, add more ice cream to thin or more powdered sugar to thicken frosting to desired texture. Easter Is Coming – Are You Ready? Easter is this Sunday!! Are you ready? If not, I hope I can help by sharing this easy and yummy Overnight French Toast breakfast/brunch recipe, and a fun and festive Easter Basket Cupcake dessert idea – to help you plan your Easter menu and celebrate the holiday. In a small bowl, combine melted butter and brown sugar. Pour on the bottom of a 9×13 baking dish. Arrange slices of bread in the baking dish, overlapping if necessary. Combine eggs, milk, vanilla extract, cinnamon, ginger, and salt in a bowl and pour evenly over bread slices. 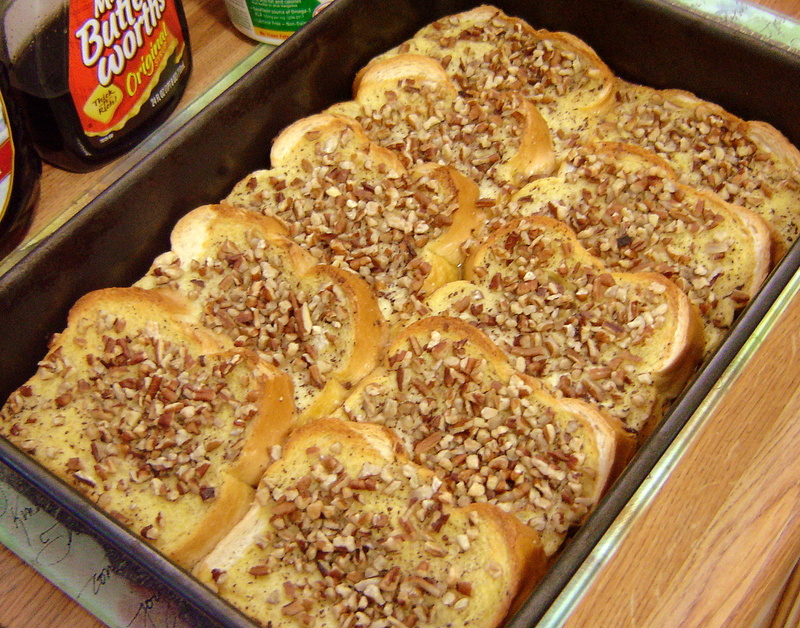 Sprinkle chopped pecans over bread slices. In the morning, take the baking dish out of the refrigerator and let sit on the counter for at least 10 minutes – while you preheat your oven to 350 degrees. Bake for 30-35 minutes. If the top starts browning too quickly, place a piece of aluminum foil loosely over the top of the pan for the last 10 minutes or so. You want it to cook long enough to make sure the bottom part is cooked, but don’t dry it out completely. Remove from oven and let cool slightly before serving. Serve with maple syrup and/or powdered sugar, if desired. Preheat oven to 350 degrees. Stand 18 ice cream cones up in a 13 x 9 inch pan. In a medium bowl, combine flour, baking soda, and salt. Set aside. In a large mixing bowl, cream butter and sugar together. Add eggs, one at a time, and beat until fully incorporated. Stir in lemon juice. Alternately beat in the milk and flour mixture until well combined. Spoon the batter into the ice cream cones. Bake for approximately 15 to 20 minutes, or until the cupcakes are deep golden brown and a toothpick inserted into the center of a cupcake comes out clean. Remove to a wire rack to cool. When cupcakes have cooled, cut off the cylindrical lower half of the ice cream cone. Frost with Buttercream Frosting and decorate with Coconut Easter Grass and Jelly Beans. Cream butter with an electric mixer until light and fluffy. Gradually add powdered sugar; mix until completely combined. Add milk and beat until well combined. If necessary, add more milk to thin or more powdered sugar to thicken frosting to desired texture. 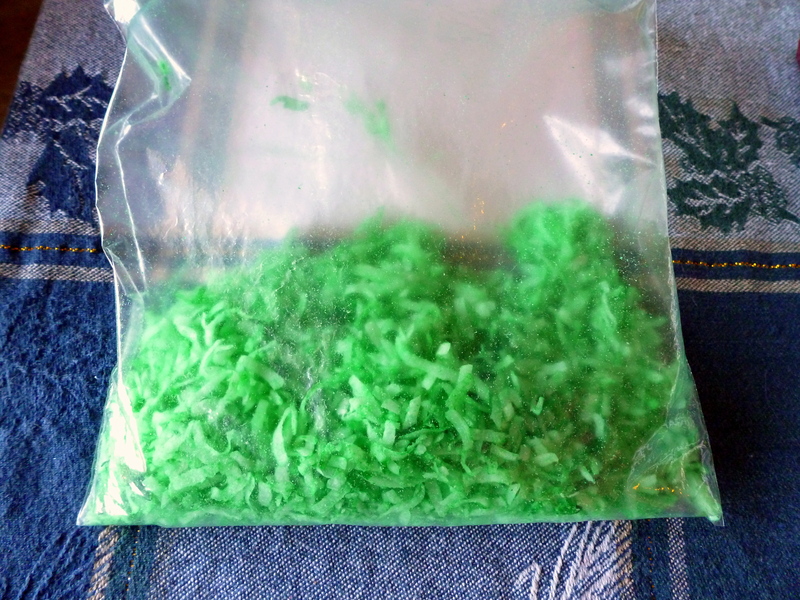 Place coconut in a zip-top plastic bag. Add 4 to 5 drops of food coloring. Seal bag shut. Shake and massage the bag to coat all the pieces of coconut with coloring. Add additional food coloring if the color is not dark enough. Is anyone as surprised as I am that Easter is this weekend? I didn’t realize the holiday was right around the corner, until I looked at the calendar earlier this week and, there it was. I’m so glad I had the good fortune to look at the calendar, because I really wanted to make these cute little Easter Basket Cupcakes for Easter this year, and if I hadn’t seen that the holiday was fast approaching, it would have come and gone and I would have missed my chance. 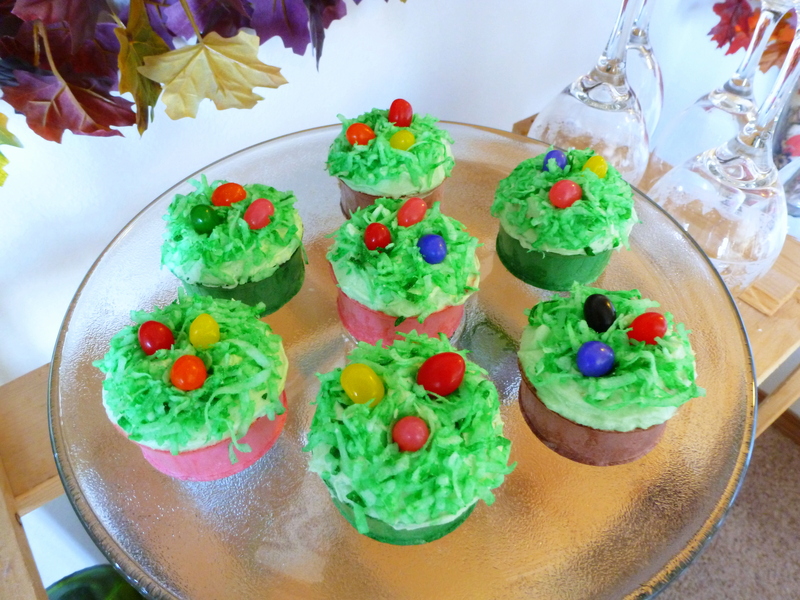 I had so much fun making these cupcakes – from hunting in the grocery store for tiny jelly beans to place on top, to coloring the coconut to look like grass. I even found some cute colored ice cream cones at the grocery store, which I think make the perfect base for these cupcakes. The next time I make these though, I’ll try to figure out a way to make an edible handle for the baskets. Any ideas? Have a very happy Easter Sunday everyone!! 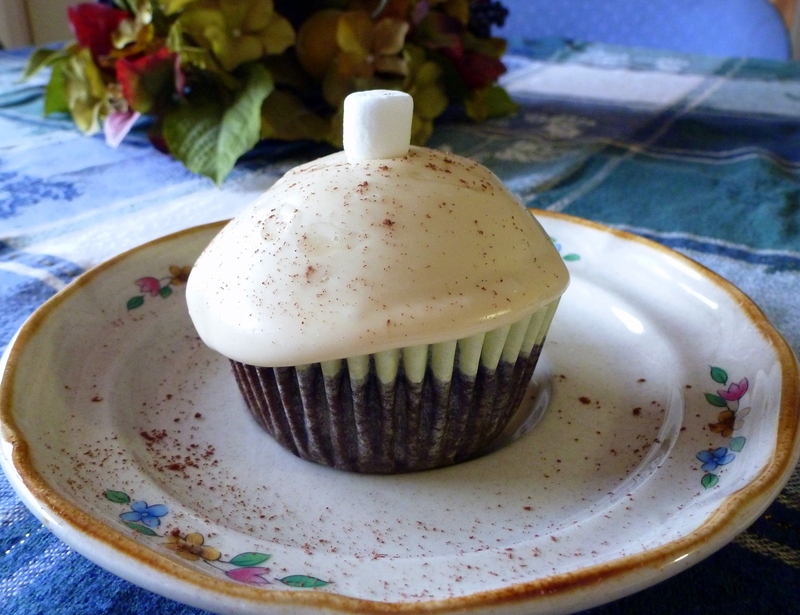 I mentioned in my last blog post that I would be baking a couple of treats this week using the Homemade Irish Cream that I made, and these cupcakes just happen to be one of those treats that I mentioned. Don’t they look cute all dressed up for St. Patrick’s Day? I used the Homemade Irish Cream liqueur in the cupcake batter and in the buttercream frosting, and they turned out wonderfully tasty. 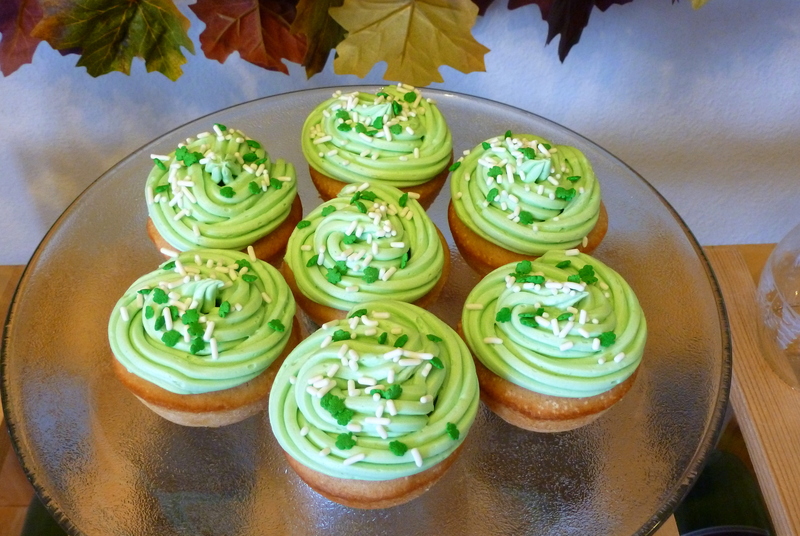 What better way to enjoy St. Patrick’s Day than with a cupcake in one hand, and a glass of Irish Cream in the other. Yum! I really enjoy perusing display cases in bakeries and coffee shops, because it often leads to being a source of inspiration for some of the things I bake. The last time I was in a coffee shop, I noticed that they had a white velvet coconut cupcake in the display case. The flavor combination sounded really yummy, but instead of purchasing one from the shop, I decided to try making my own at home. The cake portion of this white velvet cupcake is really light, thanks in part to the beaten egg whites that are folded into the batter. I did contemplate adding some shredded coconut into the cupcake batter, but then I thought that might take away from the smooth, velvety texture that I thought the cake should have – so I opted to add coconut flavoring to the batter instead. And what’s there to say about the frosting… In my opinion, nothing tops a cupcake better than a rich, thick buttercream frosting, and this one turned out especially rich & thick. I also chose to garnish the cupcakes with some toasted coconut, and I think that really helped add that little bit of texture I was looking for. In a medium bowl, combine flour, baking powder, and salt. Set aside. In a large bowl, cream butter and sugar until light and fluffy. Alternately add flour mixture and milk, ending with milk, and beat until batter is smooth. Stir in coconut flavoring. Beat egg whites with a pinch of salt until stiff. Gently fold into batter. Spoon batter into cupcake tins, filling cups about 2/3 full. Bake for 20-25 minutes or until a toothpick inserted into the center comes out clean. Remove from oven and place on wire rack to cool. 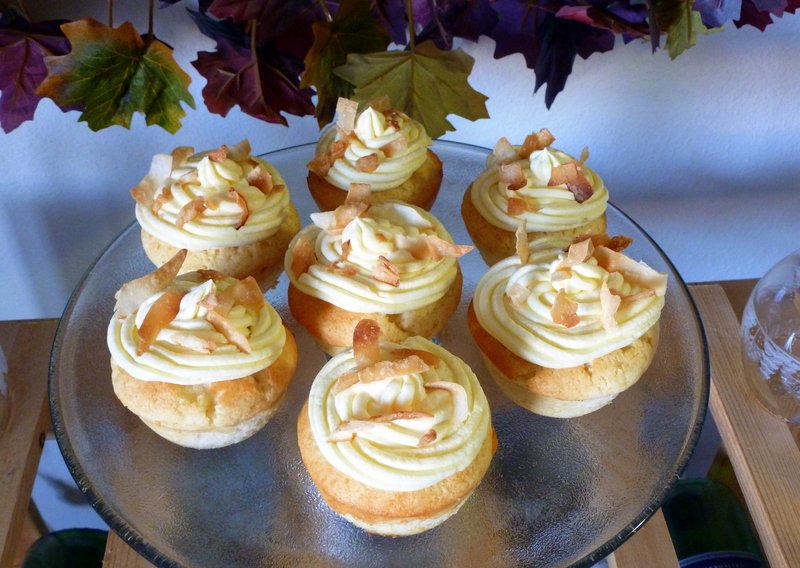 Frost cooled cupcakes with Coconut Buttercream Frosting (recipe below) and garnish with toasted coconut; if desired. In a large bowl, cream butter until light and fluffy. Add powdered sugar and beat well. Add milk and mix until well combined. Stir in coconut flavoring. Frost cooled cupcakes. The temperature has finally warmed up to above zero degrees, but it’s still quite chilly outside – about 8 degrees right now, and it’s only supposed to warm up to 10 degrees. I’m glad I have nowhere to go today, so I think I’ll just stay inside, light a fire in the fireplace, and settle down on the couch with a good book. These cupcakes are really good, and although they have a really rich and dark chocolate appearance, they are actually quite light and airy. The marshmallow frosting is something I came up with by trial and error. I had found many recipes online for marshmallow frosting, but most of the recipes called for marshmallow creme, which I didn’t have. I had actual mini-marshmallows that I wanted to use for the frosting. I tried one recipe that I found online, which called for heating marshmallows and milk on the stove, and then mixing it with butter and vanilla. I thought I had followed the recipe exactly, but maybe I did something wrong, because the end result in no way resembled frosting. I thought about it for awhile, and finally decided to try heating marshmallows and butter in the microwave for a few seconds, similar to the way you would melt baking chips when making a glaze or frosting, and then combining the mixture with powdered sugar and vanilla. I also added a little water, to help make the frosting of spreading consistency -so it wasn’t too thick for the delicate cupcakes. The result was exactly what I was looking for. The frosting is really delicious, and it set up beautifully on the cupcakes. Fill each muffin tin 2/3 full. Bake for 20 minutes, or until tops spring back when touched and a toothpick inserted in the center comes out clean. Remove from oven and cool in pan for ten minutes. Transfer to a wire rack to cool completely. Frost with marshmallow frosting, if desired. Place marshmallows and butter in a microwave safe bowl. Microwave on high power for 20 seconds. Stir until combined. Add powdered sugar, vanilla extract and water. Beat with an electric mixer until frosting becomes thick and of spreading consistency. Frost cooled cupcakes.